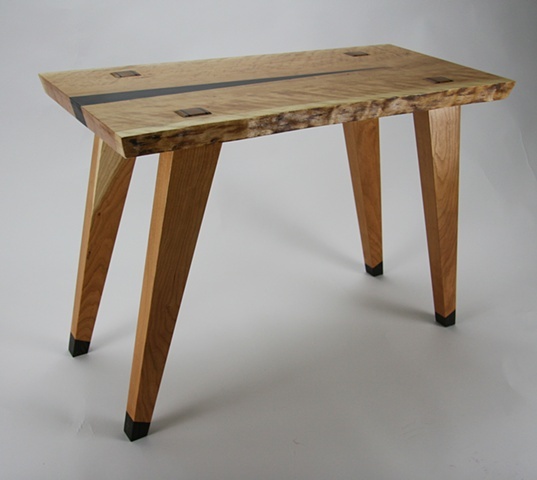 L 36.5", W 17.5", H 30"
This table features a live edge cherry top with a wenge insert and wenge tips on the legs. Wedged mortise and tenon joints connect the legs to the top. Donated to the Frank Gallery for the "Off the Wall" Gala 2012.